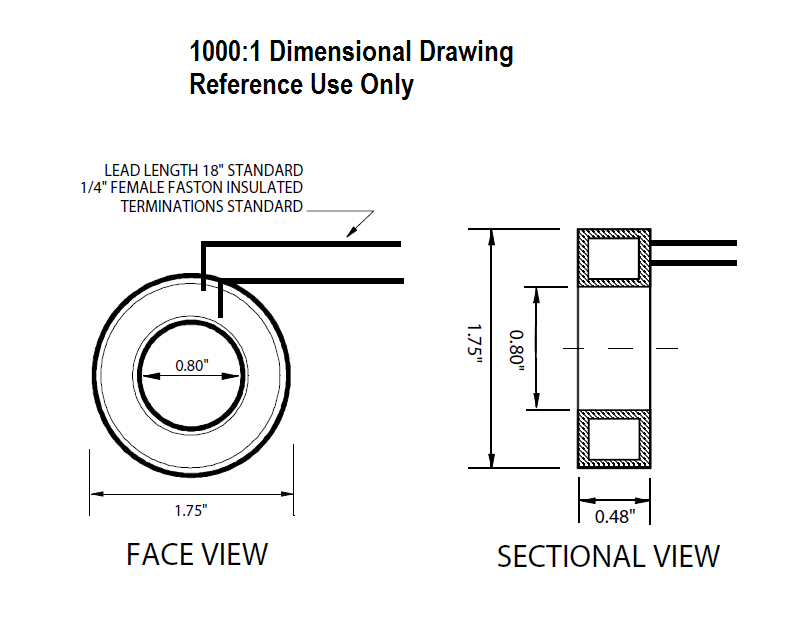 1000:1 Current Transformer is ideal for both analog and digital panel meters up to 100 amps. 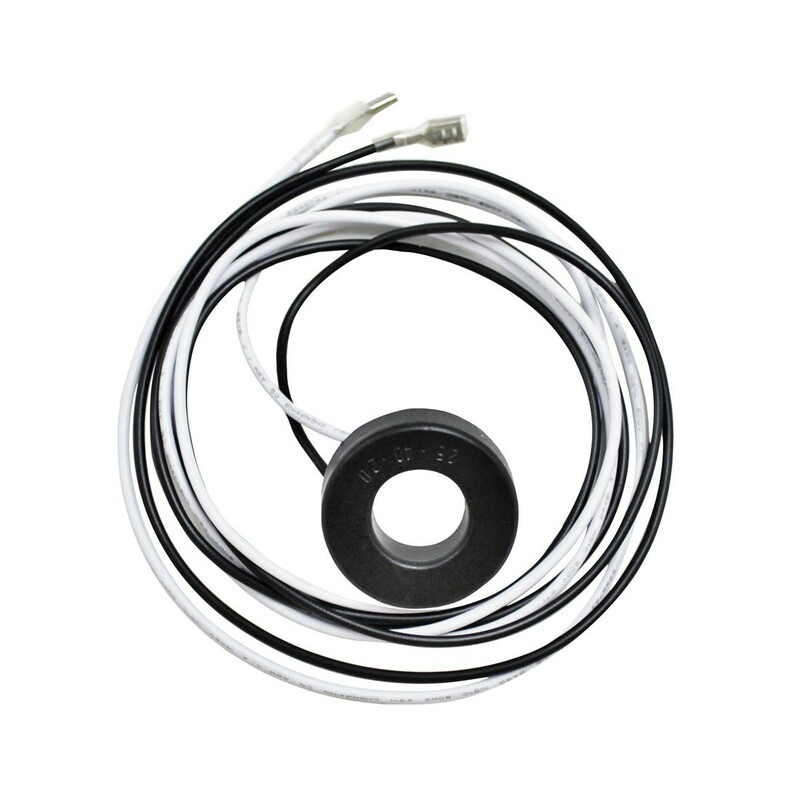 Full encapsulated, includes standard 18" leads. Output Ratio to Input: 1000:1 (100maAC Max). Signal Leads: Standard Length; 18”. Wire Size 18GA. 300VAC; Optional 600VAC. Operating Temperature –40°C to 80°C. Accuracy: ± 1% @ 50-60HZ.